On June 23, the games of the 6th round of the World Chess Team Championships were played in Khanty-Mansiysk. In the men’s tournament the leaders, team Russia, defeated Poland 3 to 1. Ian Nepomniachtchi and Vladimir Fedoseev scored for the winner. China bested Ukraine 2.5 to 1.5 thanks to Ding Liren’s win over Ruslan Ponomariov on the top board. Belarus thrashed Norway 3.5 to 0.5. Winning points were supplied by Sergey Zhigalko, Vladislav Kovalev and Alexey Fedorov. Match India – Turkey ended in a combative draw. Russia keeps leading with 11 match points, with China trailing by one step. In the women’s competition Russia defeated India 3 to 1. Winning points were supplied by Valentina Gunina and Olga Girya. 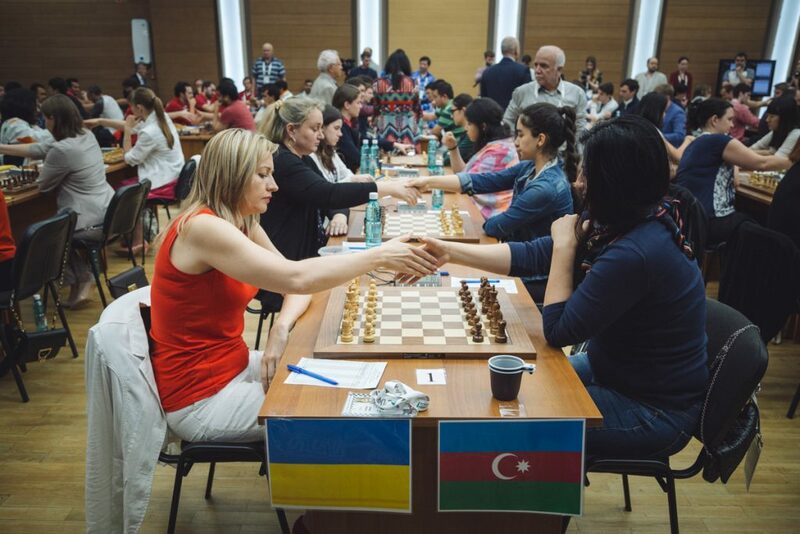 Team Ukraine overcame Azerbaijan 2.5 to 1.5; Natalia Zhukova and Inna Gaponenko won, Iuliya Osmak drew her game and Nataliya Buksa lost. China bested team USA 3:1 thanks to Tan Zhongyi and Lei Tingjie who had defeated their opponents. Georgia beat Vietnam by the same score; winning points were supplied by Bela Khotenashvili and Salome Melia. Team Poland smashed Egypt 3.5 to 0.5. After six rounds leaders are teams Russia and Ukraine with 10 match points each; China is two points behind them. Egypt – Ukraine, Russia – Poland, China – India, Vietnam – USA, Azerbaijan – Georgia.